With hundreds of airport travellers, 1ST Airport Taxis provides safe & sound airport taxis to and from London airports 24 hours a day. Booking a taxi to London Airport is cost-effective, fast, and secure with 1ST Airport Taxis. We have advanced online booking page where interested travellers can enter London airports pick & drop details to get taxis in a few minutes. 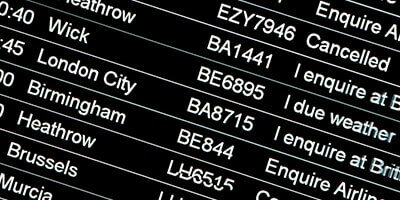 You can also beat London airports rush hours and peak times by calling us on phone. Getting to and from London airports is indeed safe & affordable with 1ST Airport Taxis. Being the foremost taxi's company in Bedfordshire, Hertfordshire, London and other surrounding counties, we provide taxis from London Airport to where you wish to go. Our exemplary taxis services London Airport include London Airport station taxis to any railway station in the UK. 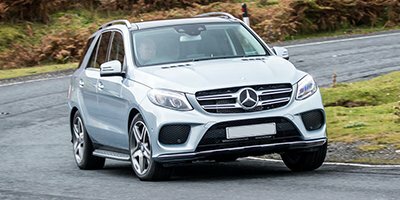 With professional, well-dressed, and experienced drivers, all the cars we have are fitted with satellite navigation systems to maintain punctuality and cost-effectiveness. We have hired support professionals from leading fields to join our taxis family to serve you 24 hours a day. So, let us know when and where do you need taxis from and we ensure that our driver will be with you without asking for directions within 4-5 minutes, guaranteed. 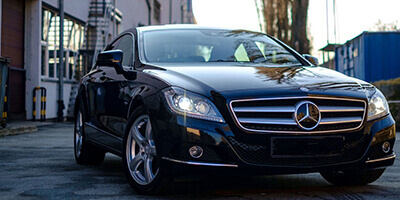 All the London Airport services we deliver are affiliated with local councils of London and nearby areas. How much will a taxi cost to London Airport from London? Below you may find estimated pricing for a taxi from London Airport to London, UK. *The aforementioned London Airport Taxis prices are from January 2018 onwards. 1ST Airport Taxis calculates fare from booked taxi services and total distance travelled. Getting late to the airport? not a problem for us. We cover all the major London airports and have flight monitoring systems in cars where we enter your flight details to get you to the airport on time. Worried about traffic jams? Don’t be, we have GPS devices that we use to beat congested routes. You will also receive a live GPS track-and-trace link which you can use to monitor and share your location. 1ST Airport Taxis also offers punctual, safe, and reliable London Airport Meet and Greet taxis 24 hours a day. We want airport travellers to reach home without waiting for taxis at the airports. Simply let us know the flight details and our driver, using FMS, will arrive 25-30 minutes before your flight’s landing. We have no waiting charges, no hidden costs, and surcharges on holidays. The baby seat is a comfortable seat for children that keeps them safe in cars/taxis. 1ST Airport Taxis is the first and only taxi's company in the UK to offer free baby seats to passengers. That’s right, we provide baby seats absolutely at zero cost. We want everyone on board to be safe and happy. Please, mention baby seat as request while pre-booking taxis with us so that we could arrange a suitable baby seat for your child. With Meet & Greet: Once booked, our driver will enter the flight details (provided by you) on the flight monitoring system to arrive exactly 25-30 minutes before your flight’s landing. We don’t want you to wait for us, but we will wait for you. We have no additional waiting charges. Our driver will meet you at the airport arrivals by holding a signboard with your name on it. Without Meet & Greet: Airport taxi services without meet & greet becomes normal airport pick & drop where, once booked, our driver will call you to ask for the pick-up time. In this case, our driver will exactly arrive on the time you want him to be. 1ST Airport Taxis offers exclusive London Airport Taxis services such as London Taxis to and from Luton Airport, London Taxis to and from Heathrow Airport, London Taxis to and from London-City Airport, London Taxis to and from Southend Airport, London Taxis to and from Stansted Airport, and London Taxis to and from Gatwick Airport. No matter where you are in London, our driver will pick you up from anywhere in the UK to drop-off safely at London airports. Our airport taxis to and from London to London Airport is a 24-hour service with exciting frequent discounts. 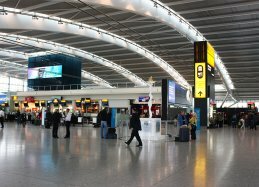 Closest airports to London, UK are London-City Airport (E16 2PX), London Heathrow Airport (TW6), London Gatwick Airport (RH6 0NP), London Luton Airport (LU2 9LY), London Stansted Airport (CM24 1QW), and London Southend Airport (SS2 6YF). The distance between London and London-City Airport (LCY) is 9.9 miles (33 mins). The distance between London and Heathrow Airport (LHR) is 16 miles (36 mins). The distance between London and Gatwick Airport (LGW) is 55.5 miles (1 h 15 mins). The distance between London and Luton Airport (LTN) is 34.1 miles (54 mins). 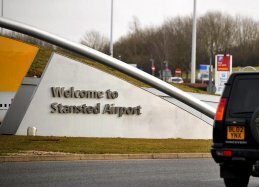 The distance between London and Stansted Airport (STN) is 35.1 miles (57 mins). The distance between London and Southend Airport (SEN) is 42.6 miles (1 h 15 mins). 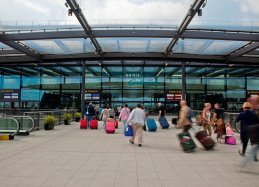 Thousands of locals and tourists travel to London airports from all over the UK. Some take trains while others prefer taxis, everyone chooses the transportation according to cost, safety, and punctuality. Here are a quick London Airport taxis tips that airport travellers can utilise as London Airport travel guide for travelling to and from London Airport by London Airport transportation. If you’re not in a hurry or urgency, then always book taxis to London Airport in advance. It’s cost-effective and punctual, it will always save you time to schedule your journey. With 1ST Airport Taxis, you can also beat London Airport rush hours & peak times. 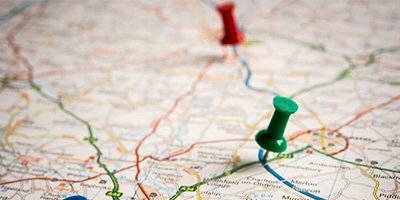 Once booked, you will receive journey details, driver’s details, and a live track-and-trace link that you can use to monitor and share your route with anyone you like. You will also receive the digital receipt of the journey on your email. Do not get taxis from outside the London airports terminals. Not only it's expensive, but they are also rude and unprofessional. 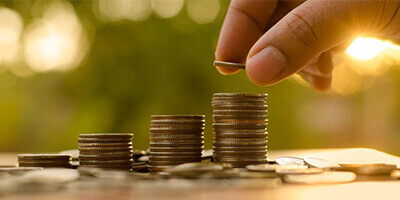 Therefore, always book taxis with 1ST Airport Taxis that is cheap, safe, and offers exciting discounts to frequent travellers. First, count the number of bags and people you’re going to travel with, then go to our website, enter pick & drop details, and select car according to passenger strength and luggage capacity. We have 4-to-8-seater spacious cars ready 24/7 for you. 1ST Airport Taxis is a customer-oriented London taxis company. With us, passengers have the privilege to choose their preferred route which our driver will follow. We use GPS tracking devices to beat traffic jams. I have been using 1st airport taxis for quite some and I really appreciate their services. I normally have booked them for weekends and airports. And yes, book taxis in advance, they offer discounts.